Sydney born Nero, was on Manly’s books as a junior but joined St.George Illawara who he played for in the NRL. 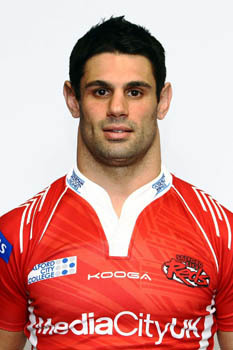 Nero joined Huddersfield in 2003, where he was considered a consistent try scorer. Nero played for the Giants in their losing Challenge Cup Final in 2006. He made over 100 appearances for Huddersfield and was named Player’s Player of the year in 2007. But he joined Bradford on a three year contract. After playing 74 games for the Bulls, Nero signed for Salford in 2011.